When I went along to the Plymouth and West Devon Records Office I took a notebook that I picked up because it still had some spare pages in it. I had used it last year when I went to Los Angeles to visit friends – it was small and fitted inside my bag easily. I found a recipe inside a magazine in our host’s kitchen for matzos and, because the recipe only called for three ingredients, I wrote it down. During my research about the synagogue and it’s vestry I came across a page, translated from the early 1800s, calling for the congregation to come and make their own matzos. At the same time I found the noted down recipe for homemade matzos in my notebook and I started to piece together a germ of an idea. My research will now include food and what it stands for. The vestry has been used for the preparation and eating of food, for celebrating during religious festivals, for certain rites of passage, bar and bas mitzvahs, weddings and funerals. 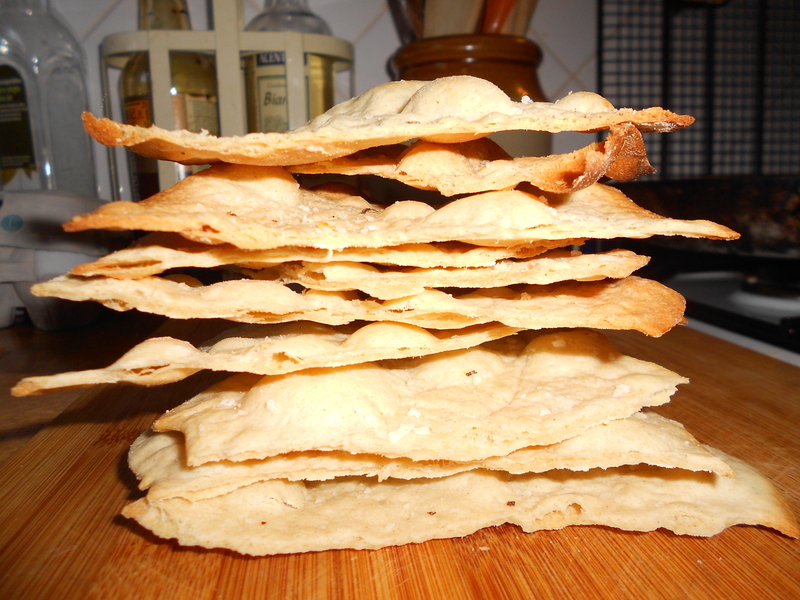 Here is my first attempt at homemade matzos. This entry was posted in Plymouth's Synagogue, Research, Uncategorized on February 20, 2013 by Ruth.